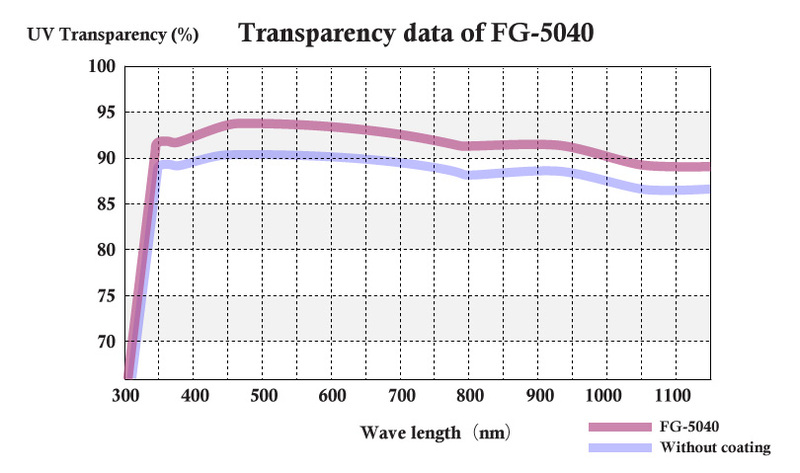 Film formed by FLUOROSURF has low refractive index. Transmitted light increases by coating FLUOROSURF. ■FLUOROSURF FG-5040 forms film of low refractive index effectively decreasing reflected light and increasing the transmitted light. ■By coating FLUOROSURF FG-5040, transmitted light increases 3 to 4%. 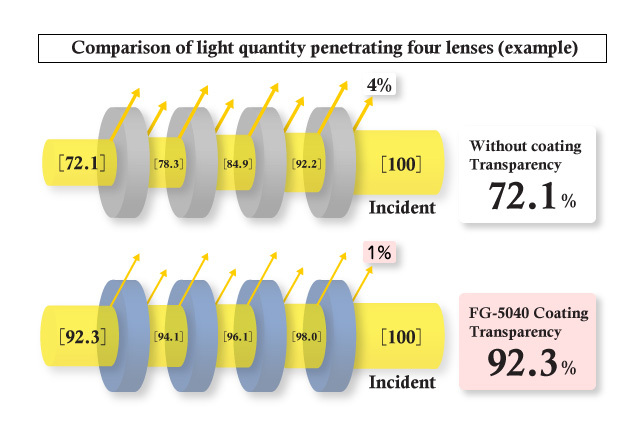 When it is used for a complicated optical system, transmitted light is increased several ten percent in total. ■Low toxicity non-flammable solvent is used for safe and simple coating. This product is not subject to the PRTR Law, Fire Defense Law and Industrial Safety and Health Law. FG-5040H-0.5 Non flammable Film thickness 0.1micron meter. FS-702X Series flammable Additive for UV hard coat agent.